There are lots of things I admire about the Salvation Army and it's musical groups. One biggie is the partnership and friendship that is formed between these various musical groups in different parts of the UK (and the rest of the world). I love the way music, friendship and mission go hand in hand. My first big experience of this was shortly after joining Coventry City Songsters (Adult Choir) last year. When we travelled to Bolton Salvation Army for a weekend of music and worship. Last weekend (24/06/17) Coventry City Salvation Army was blessed by the visit of Swindon Citadel's Songster brigade. The energy that comes from a visit like this is incredible. It's like a visit from family...which I guess they are. Brothers and sisters in Christ of course... But also brothers and sisters of the Salvation Army and fellow Songsters. Particularly enjoyable were the pieces we sang as a massed group...both brigades brought their own Flavour and style in our individual pieces but the joint pieces I think somehow bonded us... Knowing that both groups had individually been learning and preparing the same pieces then coming together to present them as a single united brigade. This weekend has really made me think about and reflect on the Salvation Army and it's relationship with music and service. But where does this music fit into faith and practical help and service of the communities we live in? This has always been a concern of mine; that the Church (across all denominations) should focus it's primary resources on outward practical help and less on the impractical aesthetic things like stained glass windows, nice buildings, and even music, I think I'm probably a puritan at heart...well I'm man enough to admit that at least in part I'm wrong... I look to the famous Gospel account of Jesus being anointed. Jesus stands out from His peers, the feet washing image we usually have of Jesus is reversed... Because of course, as much as Jesus came to serve, He is still a servant KING. He is above and greater than those around Him because obviously He is God incarnate. And deserves to be raised higher than anyone else. Which is why Jesus is not a true socialist as some would suggest (a discussion for another day perhaps). Worship is about touching the divine...allowing us to experience something more, bringing ourselves into God's presence and honouring Him. Where I am wrong somewhat in my puritanical stance is that I think we lose something when we try to be entirely practical. I will go as far as to say that I think some Salvation Army buildings can be a little overly 'practical' which I understand and accept... But do we risk putting Jesus in a box of being a place of grey practicality and miss the experience of trying to 'touch the divine'? "Down the street comes the band of the Salvation Army, with trumpets tabrets and trombones. And you're glued to the spot, if you like it or not, and you just kind of alter your plan"
So practically it's a great tool, but spiritually as well, it helps us. both the lyrics and the tunes help us say and feel what perhaps is difficult to express. It inspires beauty and inspiration, makes us feel joyful, humble, inspired... etc. It talks to our souls and somehow lightens our hearts, and I think, allows to see and experience something of the divine...it is a true, valuable and key area of ministry and service... It brightens up a grey world, and yes it may not actually feed or clothe someone. But as a joint ministry the Salvation Army works to feeds the soul and clothes the heart as well as feeding and clothing the body, both are necessary for real Salvation. 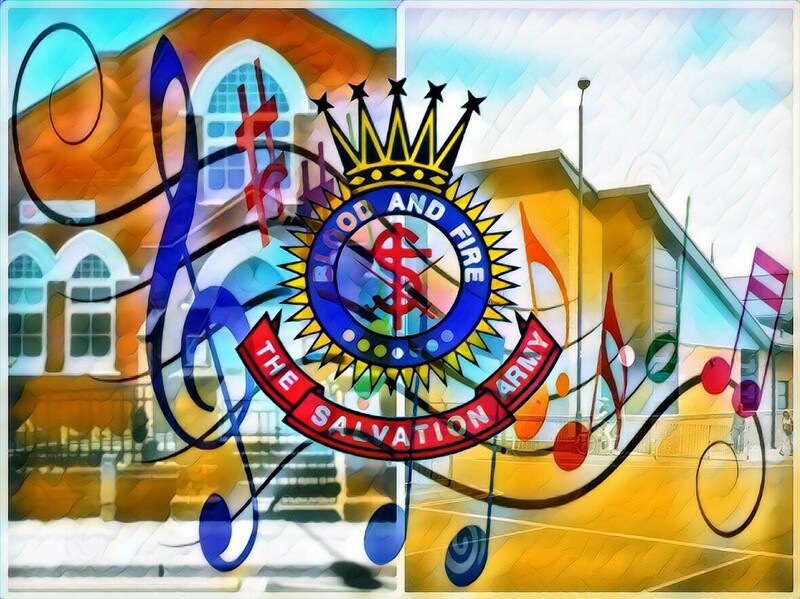 It is a real calling and mission to lighten people's burdens both spiritually and practically and build God's kingdom on earth...I think that's the true purpose of Salvation Army music and why it works so well alongside faith and practical ministry. and faith...yes the music is to honour God, so of course we must work as hard as we can to be the best we can, but God is pleased first and foremost by our relationship with and service of Him. It is this synergy between all the areas of ministry and service that truly make the Salvation Army what it is and what it is called to be... 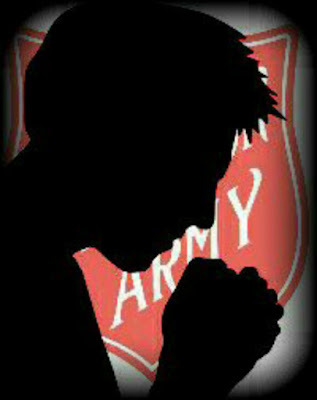 Faithful, practical, servants, disciplined, worshipful, compassionate, authoritative, leaders, musical, friends, prayerful.